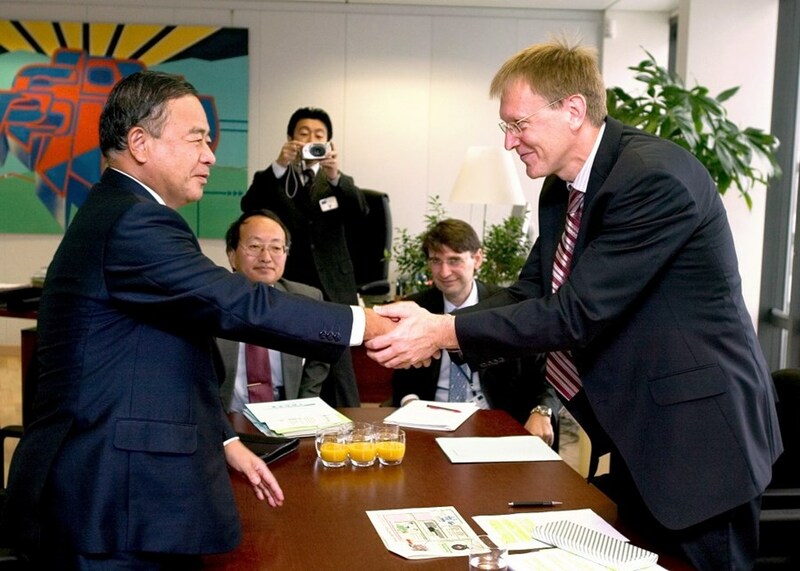 Noriaki Nakayama, the Japanese Minister of Science and Technology, and Janez Potočnik, the European Commissioner for Science. Nearly two years of negotiations were necessary to decide which of the sites proposed by Europe or Japan would host the ITER Project. Ten years ago, on 28 June 2005, a home was found for ITER. In Moscow, where ministerial-level representatives of the ITER Members had convened, a consensus had at last been reached: the International Thermonuclear Experimental Reactor planned by China, the European Union, Japan, Korea, Russia and the United States (India would join six months later) would be located in Cadarache, a locality in the village of Saint-Paul-lez-Durance, some 75 kilometres north of Marseille, France. Cadarache was already a familiar name for the fusion community worldwide. 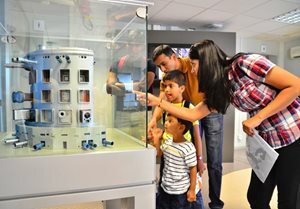 Home to one of the French Atomic Energy Commission's (CEA) largest research centres, it hosts a magnetic fusion department and Tore Supra, the world's first superconducting tokamak. Built in the late 1980s, Tore Supra still holds the world record for plasma duration, with a 2003 shot that lasted six minutes and thirty seconds — an eternity in the world of plasmas. 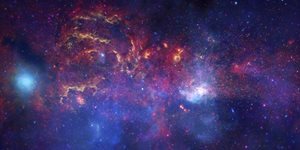 In the last round of a two-year negotiation, this site proposed by the European Union was unanimously chosen for the world's largest fusion facility. A little less than twenty years after the design activities for the project had been launched, the Moscow decision marked the end of a long, difficult and sometimes painful process. It all began in the spring of 2001 when the ITER Final Design Report — the detailed blueprint of the installation — was being finalized for submission to the ITER Council. A group of Canadian industrialists and academics who were interested in being part of the project made a first proposal in April 2001 for a site in Clarington, Ontario, home to the Darlington nuclear power plant. "For the first time since the project's inception in 1985, the name 'ITER' was associated with a precise location," remembers Jean Jacquinot, one of the experts who participated in the negotiations. "The Canadian proposal lent credibility to the project." The Canadian proposal acted as trigger and an accelerator. Experts in Cadarache had undertaken "site studies" as early as the mid-1990s. In 2003, after reactivating and updating these studies, they formed the basis of a formal proposal — first from France to Europe, and then from Europe to the ITER Members. 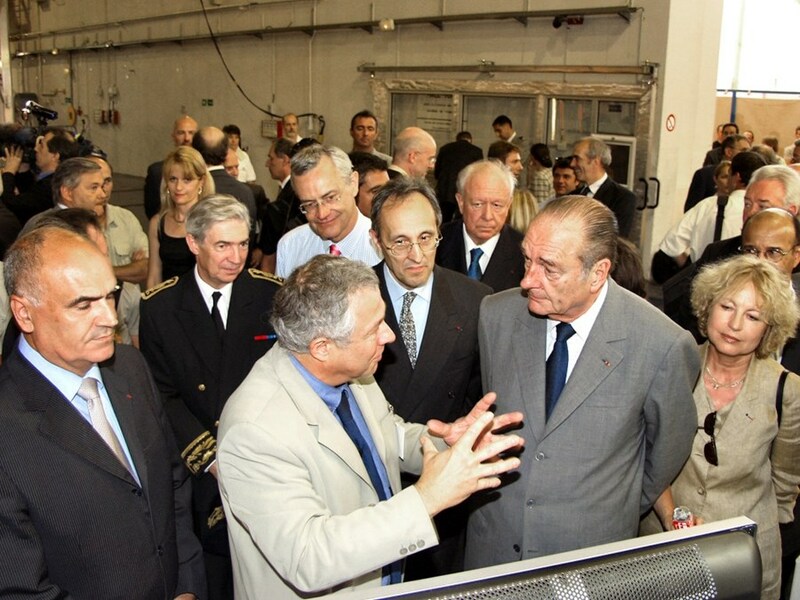 Two days after the historic decision, on 30 June, French President Jacques Chirac was in Cadarache. No one had ''won,'' no one had ''lost.'' The ITER Members had demonstrated their capacity to overcome difficult odds and to imagine a solution that was acceptable to all. The year before, Spain had proposed a site at Vandellòs, on the Mediterranean shore south of Tarragona (also the location of a nuclear power plant), and Japan had proposed Rokkasho-Mura, where a uranium enrichment plant, a nuclear waste storage installation and a used-fuel reprocessing plant cohabit on a 14-kilometre-long peninsula. A site in Canada, two in Europe, one in Japan — that made three sites too many. In Europe, the issue was solved on 26 November 2003 when the twenty-five Research ministers of the member states voted unanimously for Cadarache. As compensation, Spain would host the soon-to-be-established European Domestic Agency, responsible for the European in-kind contributions to the project. As for the Canadian consortium, it decided to withdraw from ITER negotiations the following month due to lack of government-level support. 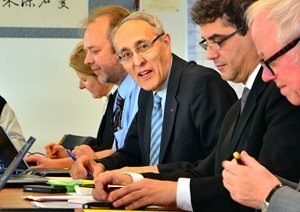 The year 2003 was drawing to an end and the ITER Members still had a decision to make. Four days before Christmas, their ministerial representatives met in Reston, Virginia, a suburb of the US federal capital. The meeting was heralded as decisive; expectant TV crews camped outside the gates of the site in France, media representatives were in constant contact by telephone with the different delegations. But the Reston negotiations ended in gridlock. An optimistic joint communique, however, proclaimed: "The six Parties have reached a strong consensus on a number of points. We have two excellent sites for ITER, so excellent in fact that we need further evaluation before making our decisions based on consensus." Reaching consensus would require another 18 months. 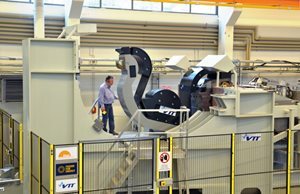 In order to break the gridlock, a "Broader Approach" program was devised that included the construction of a materials research installation for fusion, "a satellite machine" for ITER, a computing centre for fusion science and a centre for remote experimentation — something for which Europe had always advocated. The Broader Approach installations would offer scientific and economic "compensation" to the party that would not host the machine. On 28 June the long-awaited decision was at last made official in a joint public announcement by Janez Potočnik, the European Commissioner for Science, and Noriaki Nakayama, the Japanese Minister of Science and Technology. "I wish to say that today Japan is both sad and happy," said Nakayama. "However, this project is so important that we have decided to overcome our grief and change it into joy." Two days later, French President Jacques Chirac was in Cadarache to celebrate the momentous event. No one had "won," no one had "lost." The ITER Members had demonstrated their capacity to overcome difficult odds and to imagine a solution that was acceptable to all. And so, ten years ago, the ITER Members laid the foundation for the kind of spirit that continues to carry forward a truly unique collaboration for science.